Who needs all that whizzy bang power? 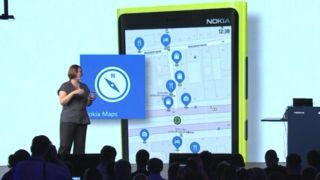 Nokia has told TechRadar that while it thinks quad core chips are unnecessary, the need for dual core is finally here. Only recently Nokia claimed that single cores were all that today's smarpthone needs, but with the glut of new features offered by Windows Phone 8, the extra power of the Snapdragon S4 chip can be leveraged. Marko Argenti, senior vice president of developer experience for Nokia, said: "You've seen what Windows Phone 8 can do with single core processor; the OS makes such good use of the CPU that you don't feel any lag with single core. "With dual core we're taking it to the next level, but why put something you don't need at the expense of battery life?" "We made the choice to go for the greatest compromise [between battery and power]." He also pointed to the 30% increase in battery life that the mixture of an optimisation of the Windows Phone 8 platform and the efficiency of the Snapdragon S4 chip allowed as proof that dual core chips were the most pertinent to today's user. "A lot of the elements of the Pureview experience rely on having computational power to analyse images in realtime, reduce noise in low light, detect shapes and take them out, so we're using a lot of the extra power of the dual core to do the amazing stuff seen today, using the second processor to enhance experience." There's certainly an argument that we don't need the extra cores seen in the likes of the Samsung Galaxy S3 and the HTC One X – in the US, these handsets run with the same S4 chipset as seen on the Lumia 920, so it's certainly not an underpowered range.